When the author first visited Rangoon in 1969, there was no traffic as there were basically no cars. An ancient Russian bus with Union of Burma Airways signage was the only mode of available transportation from the airport to town and the Strand Hotel. It was as if Burma had been in a time warp for over a century. In fact, the week prior to the visit was the first-time visitors to Burma could stay for more than 24 hours with visa stays extended to 72 hours. The immigration officials likely concluded that no one would really want to stay longer than that coupled with their overall paranoia regarding the outside world. The image of the Strand Hotel below was taken when the hotel opened in 1901. Sixty-eight years later, it looked pretty much the same though quite tired having served as a Japanese bivouac base during World War II. Nonetheless, it represented the traditional hub of anything remotely western in the country. The image below was taken in 1940 to commemorate the 25th million Chevrolet Coupe that had been built in the history of General Motors. The relevance is one of those 25 million cars was most likely the Strand Hotel limousine in 1969. It had received one modest refurbishment in that the rear seat had been replaced with a wooden bench. Therefore, for some obscene amount of money, it could be hired to return to the airport for one’s compulsory exit following a 72-hour visit. However, in order to have a view of Rangoon and a brief respite from the grunge of the then Raffles Hotel, the only realistic option was to hire a motorized cycle such as those shown below. Unfortunately, no English was spoken by the drivers so the only way to tour was to go from point A on a map to point B. Following that arrival, point C would be pointed out to the consternation and dismay of the driver with more money exchanged and so forth. There was no traffic due to a lack of vehicles coupled with the road infrastructure built by the British in a different era. As a personal rule of thumb, the British left behind great infrastructure in their former colonies, whereas the French left little infrastructure but wonderful cuisine. Over the ensuing period of years, the author’s visits to Rangoon/Yangon continued until they became frequent several years back. The traffic and automobile population began to increase exponentially until the roads became virtually impassable. In case you do not read the newspapers of Myanmar, they are filled with articles about Yangon traffic. When you cannot address the misconduct of the military, that just about leaves weather and traffic for the local news. A sampling of current articles describes the breadth of the traffic problem; (1) there are some six million cars in Yangon today, (2) the car density in Bangkok is much greater but the Burmese drivers follow no rules, lacking discipline with no regard to pedestrians, (3) drivers park along the roads such that a bus stopping to pick up passengers halts the traffic flow, and (4) a general lack of adequate public transportation. Another compounding factor is the road conditions in the residential areas that cause gridlock before reaching the main transportation routes. However, you will note that they do have proper taxis these days. Somehow the sparse traffic and motorcycle taxis of long ago have greater appeal. One possible traffic respite for a resident of Yangon is that western tourism has fallen off considerably. Given the Rohingya ethnic genocide by the Myanmar military of the past several years, many western tourists have found it unseemly to support such a regime. However, it should come as no surprise that the Chinese have jumped in to the mix to overshadow the cold shoulder received from the western world. Whereas the number of Chinese may be growing, the experience in neighboring Thailand is the Chinese spend a small fraction of the amount contributed by western tourists to the economy. However, the Chinese have chosen to improve the traffic concerns by introducing one thousand yellow buses from China to Yangon’s rush-hour traffic. They have become the local symbols of convenience and modernization. The yellow buses offer commuters an air-conditioned option with prescribed routes in conjunction with orderly boarding and proper behavior in the buses. Accordingly, China may be making a positive difference in Myanmar that could be a small atonement for their behavior in most every other country which they attempt to colonize. Nonetheless, it would be out of character for them to have a word with the Myanmar military about the Rohingya genocide thing as it is consistent with their own behavior. 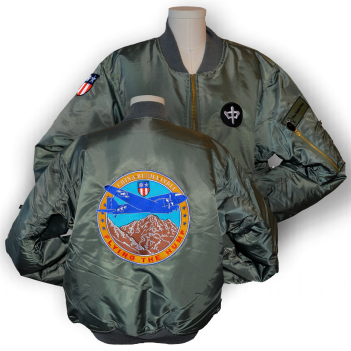 The Elephant Story designed these flight jackets in honor of the re-enactment of an historic C47 flight from Australia to China. 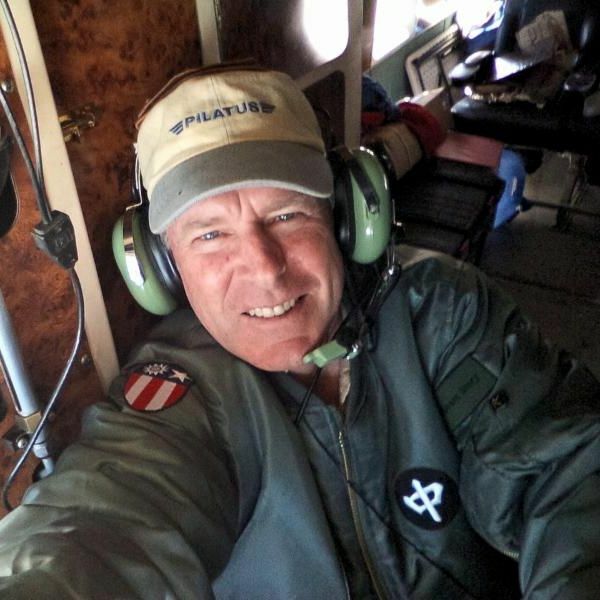 Our friend and fellow elephant polo player, Tom Claytor, was one of four pilots on the Mandalay/Kunming leg of the flight and is seen below wearing his jacket. These limited edition MA-1 Flight Jackets feature an orange lining, ribbed collar, 100% nylon water repellent outer shell, poly fiberfill lining and 4 front slash pockets. Tom Claytor pictured wearing the "Flying the Hump" Flight Jacket.